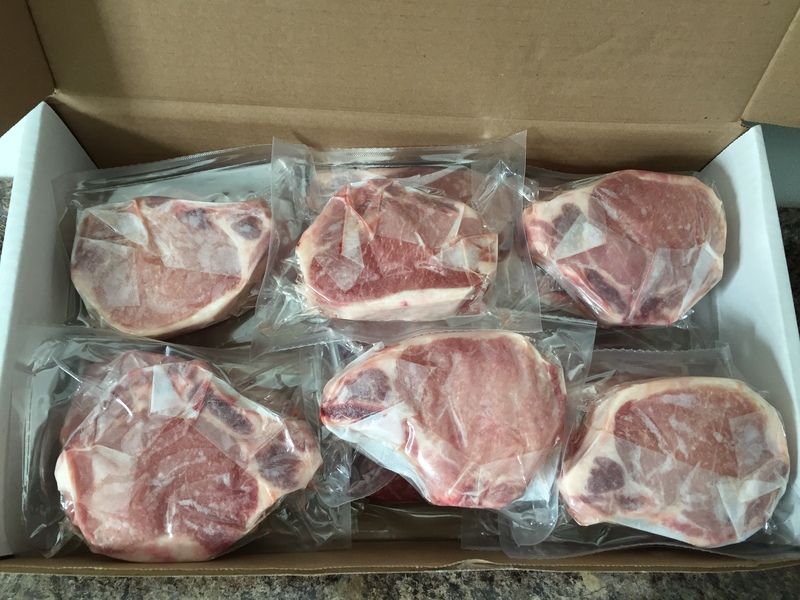 This product is shipped frozen and are Indiv Cry-o-Vac sealed. 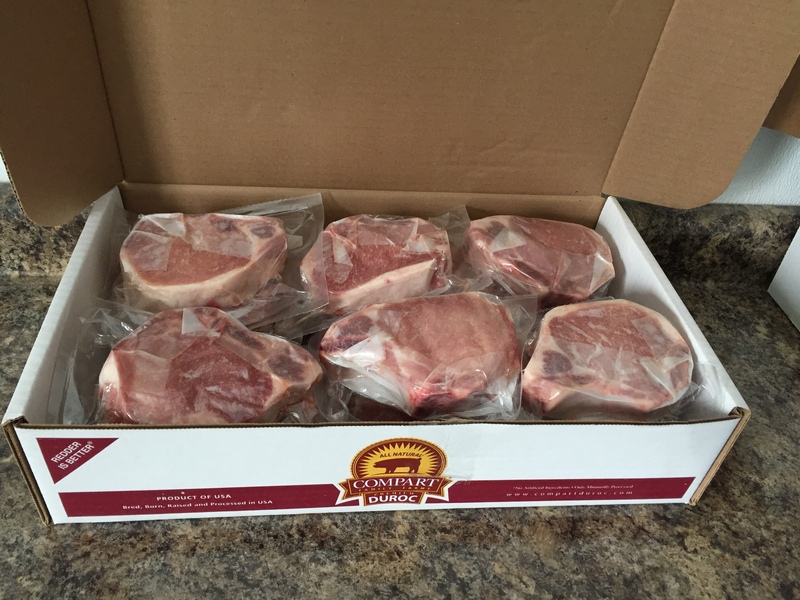 Compart Duroc’s “All Natural”, mouthwatering quality pork is perfect for barbecuing and grilling. The first bite of our lean, pork chops might remind you of your favorite steakhouse, tender and juicy. 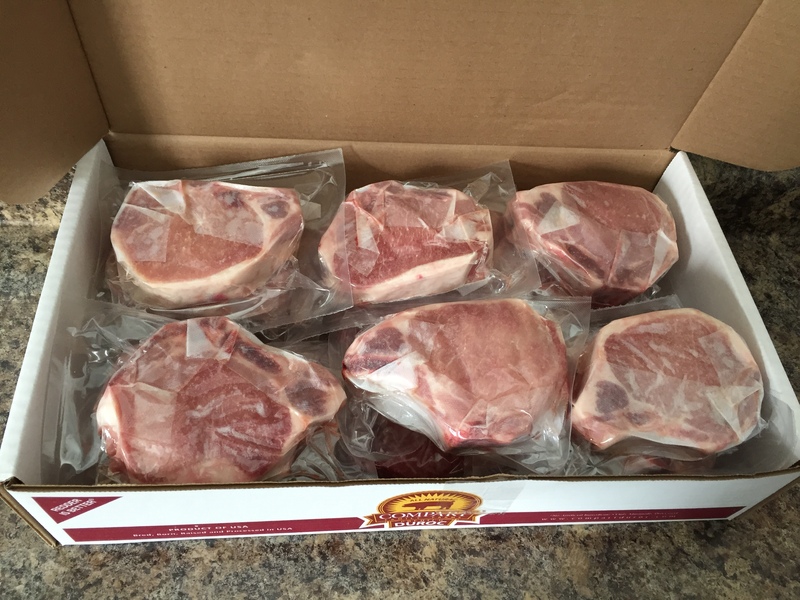 The combination of superior Compart Duroc mouthwatering flavor and the art of great cutting, is the new secret ingredient in your old family recipe! (15) 10 ounce Bone In Loin Pork Chops individually cry-o-vac sealed, shipped frozen.